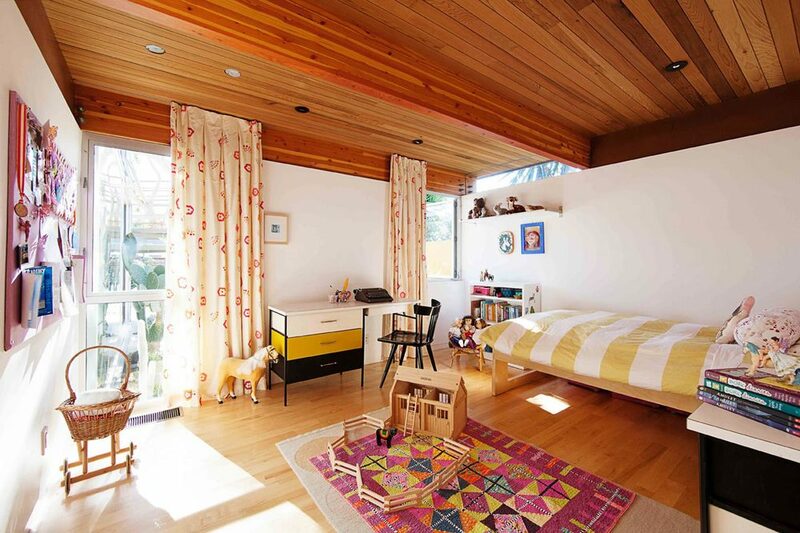 The house is located in a typical infill city lot in the Venice beach community in Los Angeles. This area is historically known for it’s beach bungalows that has gone thru a series of transformation in the past 20 years. Currently it is a vibrant community that includes people from a wide spectrum of socio-economic, ethnic, and creative backgrounds. The design strategy was to contextualize the new structure to the scale of the old bungalow but use more contemporary strategies for the building envelope. The benign climate also informed our attitude towards the integration of the indoor and the outdoor spaces by opening up the rear of the house to the garden. A double height Family Room and Kitchen are the hinge point of the family life. 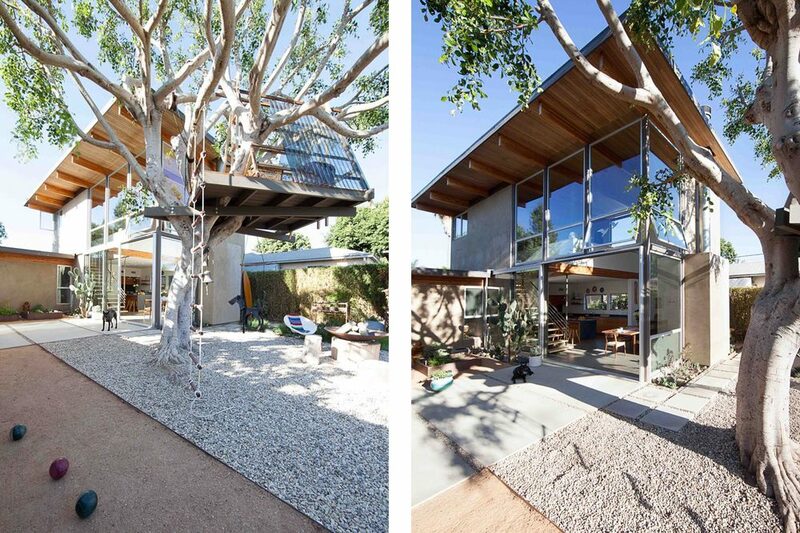 A large 20 ft walls of glass brings the southern sky and large mature trees right into the home. 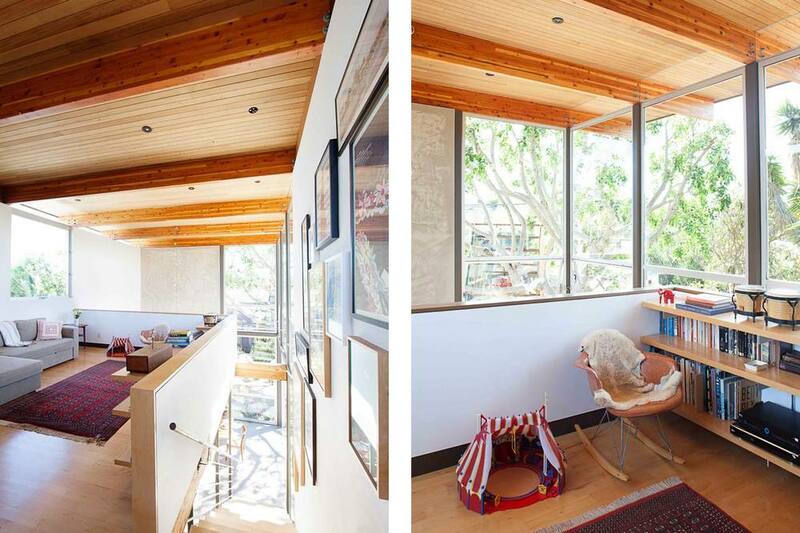 From the second floor mezzanine, the surrounding trees give a sense of living among the trees. 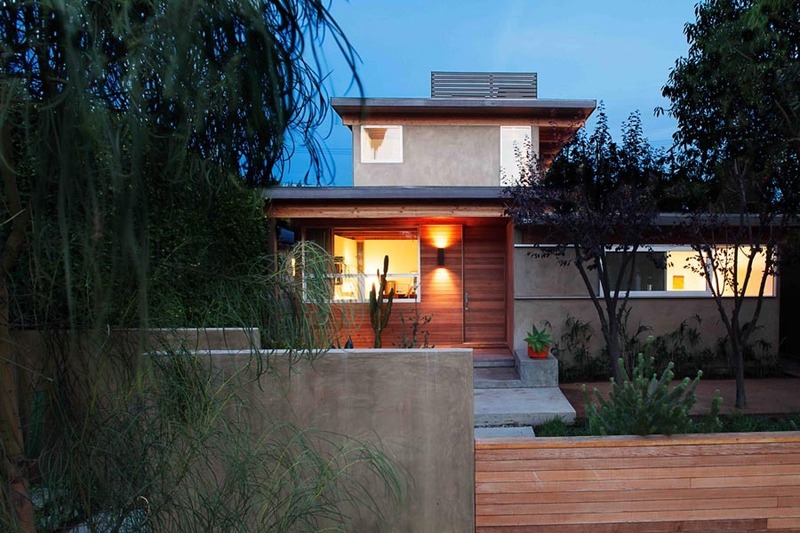 From the street the house is kept low in order to bring it in context with the original Venice Beach bungalow scale. The materials chosen are also characteristic of the homes in Venice, smooth stucco and wood siding, playing in harmony with the neighboring buildings. Sustainability and the use of passive energy was also explored through the design, integrating concrete floors and strategically placed windows to absorb the sun’s energy in the winter months. A large south facing overhang with operable windows placed high and low function as a cooling tower evacuating the hot air typically trapped inside. The use of air condition is only required one week out of the year in this house, and the winter months the concrete floors radiate stored heat thru the night.